He was done for that job, and everybody can tell, he did it right. 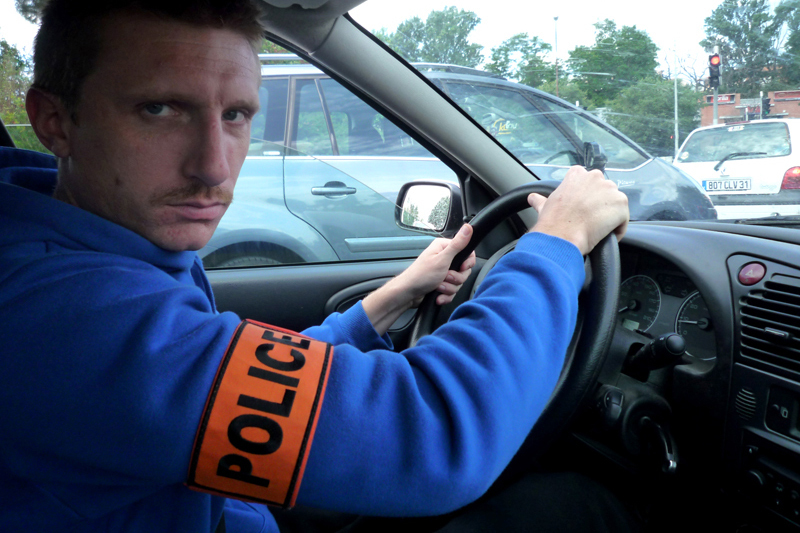 Of course this is totally illegal to be freelance policeman, but it is so nice to be his own boss and rule the streets. June 2011, 3 hours, Toulouse, France. 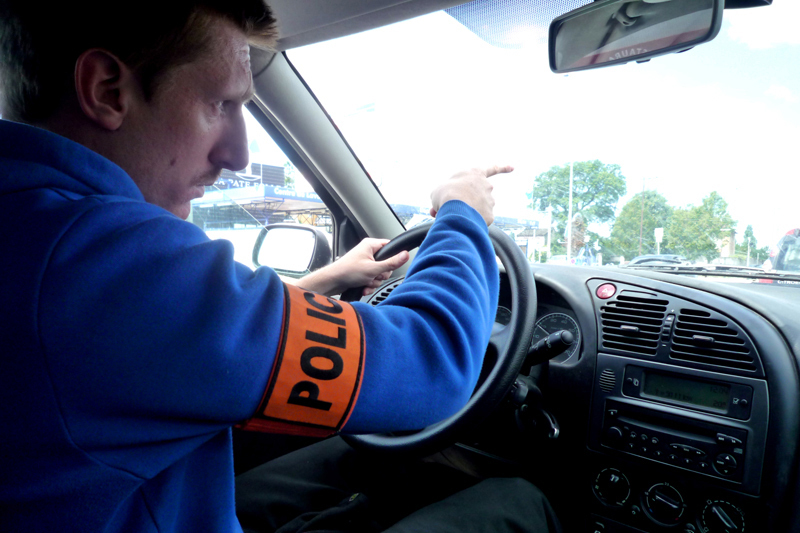 Device : 1 police armband, 1 undercover cop's car, 1 siren. 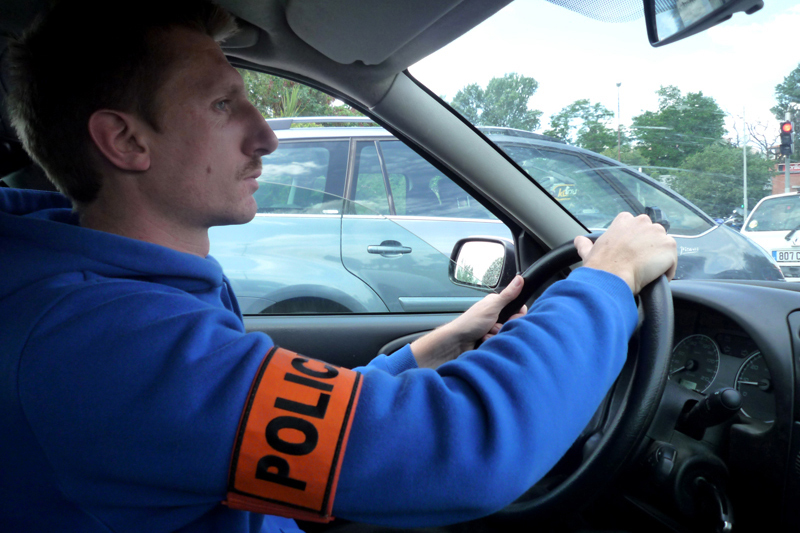 Facts : To pretend to be intervention squad of toulouse police.